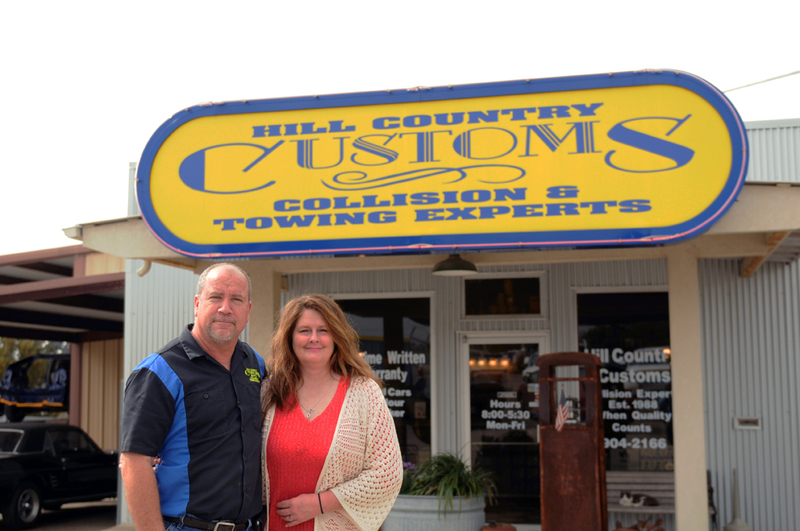 About Us | Hill Country Customs , Inc.
Hill Country Customs, Inc. was founded by Travis and Veronica Batey in 1988. The company is still family owned and operated, serving Comal County and surrounding areas. Ashton is proud of the fact, “We are an I-CAR Gold Certified shop and our trained technicians have all the necessary equipment to bring your car back to pre-accident condition. High quality workmanship, excellence in customer service, and a written warranty on repairs.” Hill Country Customs, Inc. has an A+ rating with the Better Business Bureau.